Blog/Can You Practice Hot Yoga During Pregnancy? 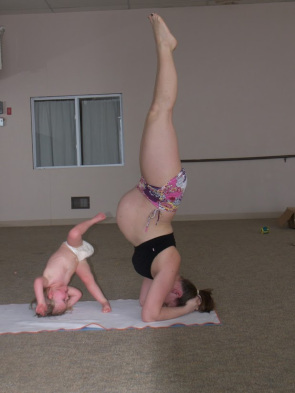 Naturally, many pregnant women have concerns about hot yoga during pregnancy. Beginning at five weeks of pregnancy in 2006, I began a blog to be of assistance in helping you to make educated decisions about exercise during yours. Studies conducted in Los Angeles (with non-pregnant students) and Northampton, Massachusetts (with pregnant students only) have found that temperature change in a hot yogi is negligible during class (average 0.6 degree temperature change). Most physicians recommend that a pregnant woman keep her temperature below 102 degrees; this is well-below that range. Research done at Colorado State University affirms that core temperatures remain in the safe range during hot yoga.